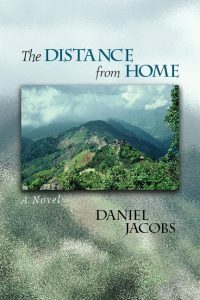 The Distance from Home (IPBooks, 2019) is a new book and the first work of fiction by Daniel Jacobs, BPSI’s Training and Supervising Analyst and Director of our Library. The novel tells a captivating story of seven friends on a life journey to Nepal. For Hannah Avery, unmarried and 37, the future looks dim. Left by her lover, disparaged by her boss, she wonders whether she can ever be at home in the world. When she joins friends for a trek in Nepal, she finds herself dealing with their precarious marriages while she tries to figure out her own future. A former lover is on the trip and eager to resume their relationship. Also in the group is a psychiatrist who is on the verge leaving his marriage for an affair with a patient. Left behind by her friends when she falls ill, Hannah returns to Kathmandu in the company of her former lover and a Sherpa guide. While recovering, she torn by her love for two men, one she knows and one whose life and political views frighten her. Daniel Jacobs is the author of numerous psychoanalytic articles and book reviews and The Supervisory Encounter (1995). Among his other publications are Edward Bibring Photographs the Psychoanalysts of His Time (1932-1938) (2005) and Grete Bibring: A Culinary Biography (2015). His new novel is available in the library and can be ordered from IPBooks or Amazon.